Mo Farah... granted therapeutic use exemption according to confidential documents. 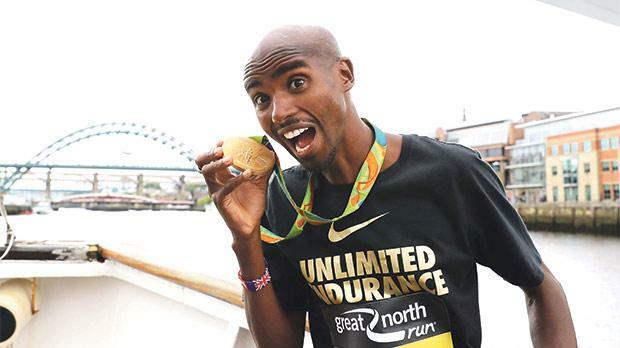 Mo Farah is unfazed by the latest leak of confidential medical documents by Russian hackers which revealed the four-time Olympic gold medallist had been granted a therapeutic use exemption (TUE) in October 2008. Farah, who retained his 5,000 metres and 10,000m Olympic titles in Rio last month, tennis star Rafael Nadal and golfer Justin Rose were among 26 athletes to have had their TUEs published online by the Fancy Bears earlier this week. TUEs allow an athlete to use a medication that is on the World Anti-Doping Agency’s banned list of substances because of an illness or condition and there is no suggestion that anyone named is involved in any wrongdoing. Farah, Nadal and Rose joined last week’s high-profile cast that included American gymnast Simone Biles, Tour de France winners Chris Froome and Bradley Wiggins, and tennis sisters Serena and Venus Williams. But just as Wiggins still faces questions over three injections of a powerful corticosteroid that he had not disclosed before, the first of Farah’s two TUEs became the immediate focus of the most recent leak as it was for the same drug prescribed to Wiggins – triamcinolone – and it seemed he had previously admitted to only one TUE. That exemption was for a saline drip and two painkillers that the 33-year-old Londoner was given after he collapsed in Utah where he was training at altitude in 2014. He said this was his only TUE at a press conference in Birmingham last June when asked about his coach Alberto Salazar, who remains under investigation by the United States Anti-Doping Agency, but it has since emerged that he did mention the 2008 triamcinolone injection a few weeks later in an interview with Sky Sports News. Responding to questions about this earlier TUE, a spokesperson for Farah said: “As Mo has previously stated, he has got nothing to hide and doesn’t have a problem with this or any of his (anti-doping administration and management system) information being released – as evidenced by the fact that he voluntarily shared his blood data with the media last year. “Mo’s medical care is overseen at all times by British Athletics and over the course of his long career he has only ever had two TUEs.
Press Association Sport understands the first TUE – which happened before he started training with Salazar in the US, hence the confusion over his 2015 answer to questions about medical exemptions while working with the coach – was to treat a flare-up of a back injury shortly before a mile race in Newcastle.